I've said it time and time again but honestly… what is not to love about fall, and October even more specifically? I adore the changing colors of the leaves, the crisp breeze, the clothes to prepare you but I also am a big fan of cozying up under a comfy blanket (my absolute favorite) with a warm drink and fuzzy socks to watch a movie as well. I adore holidays and could watch a movie any day but sometimes the combination of a holiday movie is kind of sad since you feel as though it is only acceptable to watch that certain movie during the time frame it correlates with. Fortunately, I am ok with not being a rule follower on this one and watch home alone and elf all year long (oops!). Since that may not be how everyone does it I figured now was a very relevant time to share with y'all my favorite Halloween movies. Tomorrow starts my fall break and Nell, Caroline, and I are heading to a small town where both Nell and my grandparents have houses so you can bet on the fact that we will be watching plenty of movies! Non of us are too keen on watching scary movies in a cabin by ourselves so those have remained excluded from my list as scary things tend to be! If you have a favorite Halloween movie that isn't on this list please be sure to share it with us so we can watch it! Grab some candy corn, make some hot chocolate, and enjoy the show! 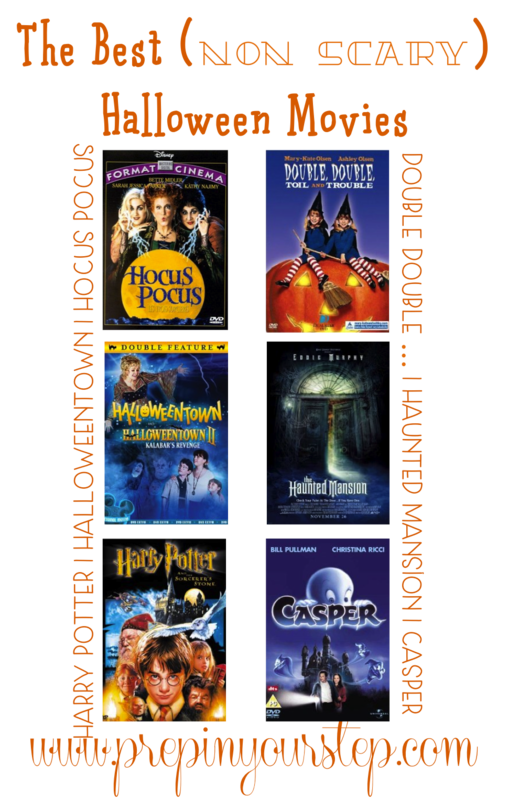 I'm not gonna lie, both Hocus Pocus and Halloweentown scared me at some parts when I was younger! But I have to agree, there is something about comfy socks, a blanket, a movie and a cup of apple cider that I love. Oh how I love this post! I'm not a fan of scary movies, but I absolutely LOVE these movies! Halloweentown has to be one of my favorites! I LOVE Hocus Pocus & have it recorded on my DVR to watch as soon as I get a free evening to watch it! & I had totally forgotten about Double, Double Toil & Trouble-that used to be one of my favorites, I'll have to resurrect it for the season! I hope you don't mind, but I would love to do my own personal version of this post-I'll make to post the link to your post & give your credit! I HATE scary movies so I love your suggestions. I am feeling a movie day with apple cider and a cozy blanket. I love Hocus Pocus! I'd say the Nightmare Before Christmas and Practical Magic as well. barbour quilted jacket sale cheap barbour wax jacket sale suddenly extended a hand to her chest at a distance of a few millimeters when there stopped. barbour quilted jacket sale Crush expression Jiangning, how cheap can really did not expect to touch themselves. But more barbour quilted jacket sale did not think this kid is playing himself. cheap hand back, chuckled sister, so good night tonight, barbour international jacket let us find a place to spend the night. Did not see you are young, it very colored people, but the barbour quilted jacket sale United States had enjoyed colored heart. Silver swing type crush touched cheap long handsome barbour quilted jacket sale face and said, or keep my sister back home ah. By, for many years because of who let the girl touches today barbour sale to bubble. cheap hand in silver swing-type crush waist and squeezed, feeling the barbour quilted jacket sale soft, elastic good, as we go to now. Great post thanx for sharing with us. So guys are you waiting for what? Valentine’s Day week has near to come and you still haven’t planned it? Is it? No worry at all. We will help you. So guys tell us what else do you need other than Happy Hug Day Images, Happy Hug Day Cards, Happy Hug Day Greetings, Happy Hug Day Wallpapers, Happy Hug Day Messages, Happy Hug Day Quotes, Happy Hug Day Wishes, Happy Hug Day ClipArt, and Happy Hug Day Poems etc? Do share in comment or email us. Click on the given link to solve the problem related to your laptop. We provide solution regarding lenovo product. If you need any assistance regarding it than visit us. To keep running your PCs, tablets, servers and other devices flexibly here is warranty and protection service provided by Lenovo.Various warranty services provided are warranty extensions, upgrades, sealed battery warranty services, etc.Similarly, there are accidental damage protection, online data backup, etc. If You are facing Any Kinds of the tech issue with the any router Products of wifi Then Get Help With the Our Router support team. They are always ready for asssist you. Thanks for sharing this marvelous post. I m very pleased to read this article if you want any help regarding dell data recovery support you can call toll free number +44 800 014 8212. Thanks A Lot For The Post. It Has Helped Me Get Some Nice Ideas. If you have any issue related to Laptop Antivirus Support then, you can directly connect with us through +44 800 048 8653 toll-free number. Hello, it's really nice to share such information that is really so useful. You explain the whole things so perfectly about it. I really appreciate the way you say all your words. Thank you for share such information keep share this type of content. Thanks for sharing good information, If anyone faces problem regarding software, no need to worry about it you can contact easily dial toll -free +44 800 0988380 and get instant help from our certified experts. Application support phone number is available 24×7 at your service.